If you've been looking for ways to conserve printer paper and ink, you've probably found obvious suggestions such as printing only when necessary or saving a PDF instead of making a printout. For documents that you don't intend to keep or use for school or business, you can print on the back of already-printed sheets, single-sided junk mail, or newspaper inserts. Beyond those ideas, however, you can implement several tricks in software to make your printing more efficient. Document margins vary depending on the version and brand of software that you're using, but in many cases you can reduce them to fit more content on a page. In Microsoft Word 2010, for example, click the Page Layout tab. Click the down arrow on the Margins icon. 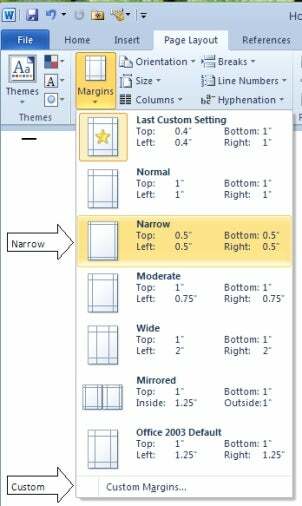 Choose Narrow margins, which are one-half inch on all sides, or scroll down to Custom Margins and select your own. 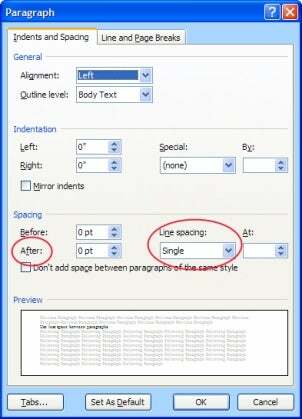 You can also decrease the font size or change the font; even at the same type size, fonts use space differently. Use less space between paragraphs. In the Microsoft Word Paragraph dialog box (Ctrl-M), you can choose single spacing or a specific amount of space between lines. Alternatively, you can single-space all lines and use the 'After:' box to decrease the amount of space between paragraphs. Try the 6 point option for starters. If your documents are short, you can print two or more Word or Acrobat pages on a single piece of paper. Read "Save Ink and Paper Every Time You Print" for instructions. Warning: You'll need a good set of eyes to read these documents. You can also print multiple Microsoft Excel spreadsheets on a single page. These instructions are for use with Excel 2010, but the method is similar in older versions. On the Print Preview page (Ctrl-P), the bottom option is page scaling. Select Fit Sheet on One Page or choose the options that shrink the document only so far as all columns or all rows fit on a page. To print multiple PowerPoint slides on a single page, use the Tiled option in the Print dialog box. If your slides have bulleted lists in large type sizes, you'll find that the Tiled printout is easy to read. 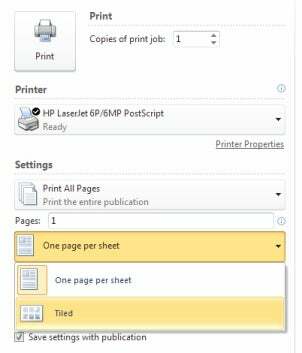 Depending on the printer you're using, you may be able to print multiple pages to a sheet right from the Print dialog box. See "Cheap Printing: 5 Ways to Save Bucks on Ink and Paper" for more information. For printing only the important parts of Web pages, try a free browser plug-in from Printwhatyoulike.com. It lets you eliminate ads, graphics, and pictures, which often lead to page waste. It works in Internet Explorer and Firefox--but like any plug-in, it will slow browser loading a bit.